These findings turn current faith in vaccination completely on its head! Far from providing herd immunity, vaccination actually prevents it. Please listen to the explanation by Harvard Immunologist Tetyana Obukhanyich PhD. Herd immunity has been the goal of vaccination programs from the very beginning. And it is based on sound observation, that natural immunity of 68% of the population to an infection, tends to be sufficient of a wall of protection to prevent newborns and infants from succumbing to diseases that could be fatal at that age. But here’s the problem. Vaccination does NOT convey herd immunity! Herd immunity comes from encountering the actual infection during childhood. 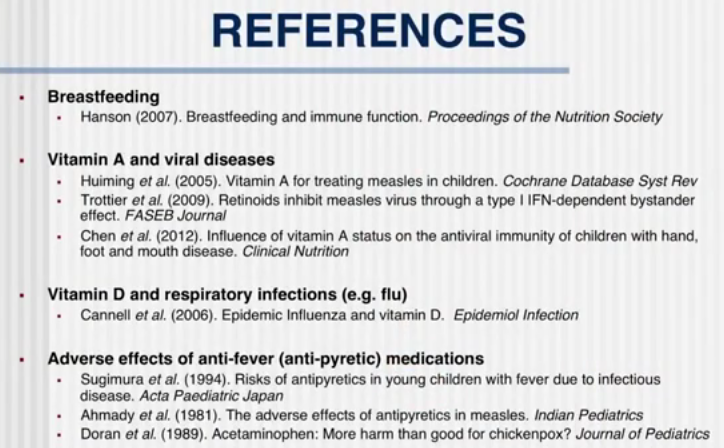 While measles, for example, is potentially life threatening to a newborn, it is relatively easily thrown off by a healthy child with adequate nutrition, especially vitamins A and D.
Vaccination with an attenuated virus is not the same as a live virus triggering a natural immune response. Natural immunity is life long. Vaccination response is not. The level of immunity is lower to start with and it tails off over 5 – 10 years. That means a girl vaccinated against measles at age 5, will have little or no immunity to it by the time she is 15. If she goes on to bear children, she cannot pass on her natural immunity via the placenta or breast milk. Her baby is now completely vulnerable should a measles outbreak occur. Perhaps more worrying though is the belief that our vaccinated children contribute to the shield of herd immunity. This is a dangerous misconception. If that baby has a primary school aged sibling that was vaccinated, it is very likely that he or she will harbor the virus with mild symptoms, and without killing it. This of course, is a recipe for disaster, as the virus will be brought home to the baby that WOULD have been protected by the mother’s breast milk if she had fought off the infection for herself instead of receiving a vaccine. The public has been led to believe that herd immunity is about preventing the spread of infection among children and adults. But that is not how nature works. Herd immunity is designed to protect the infants who have not yet acquired immune systems of their own. It is our obligation as adults to create strong, healthy children, with robust immune systems that encounter childhood infections with ease, to perpetuate generational herd immunity for the benefit of the next generation of newborns. It is actually only the UNvaccinated children that are now contributing to that generational pool of herd immunity. Please share this article and video widely. Herd immunity IS important. But we will never get there through vaccination. This is a dangerous misconception that is lulling us into a false sense of security. Newborns cannot be vaccinated against these infections. They rely on the mother’s immunity (if she has it). If there is a measles outbreak, and you as a mother have been vaccinated and have not had measles, please ensure your vitamin A and D levels are optimal, and quarantine yourself and your newborn baby until the danger has passed. We, the vaccinated generations, are the weak link in human immunity. Dr Tatyana’s book – The Vaccine Illusion is available here.